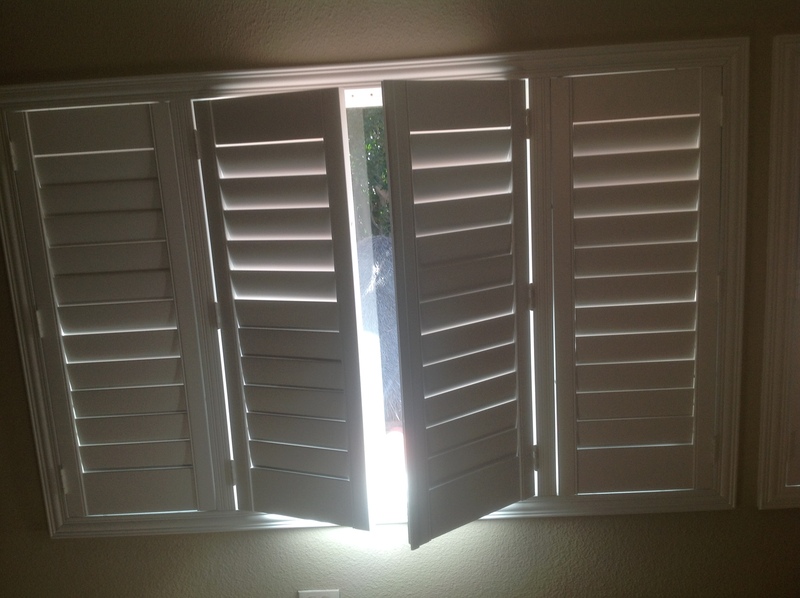 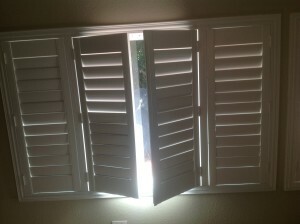 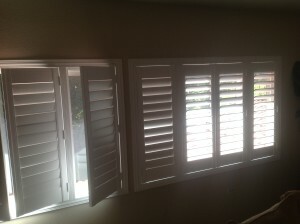 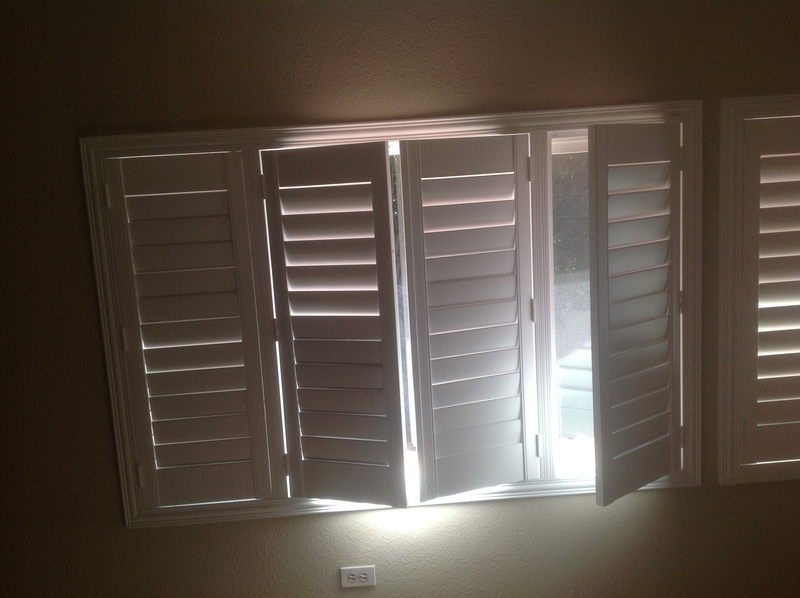 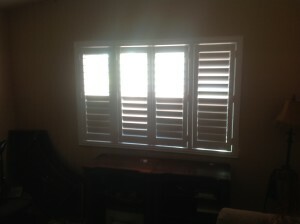 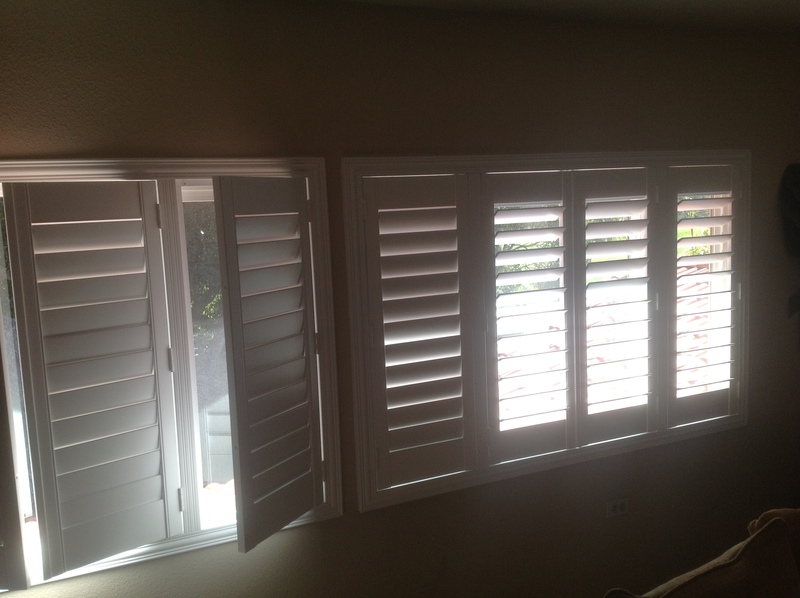 Corona shutter job of the week is this Onyx Basswood shutter installation at Mark’s house in Corona. 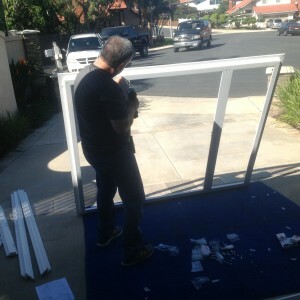 First you can witness the frame assembly, with T-posts. 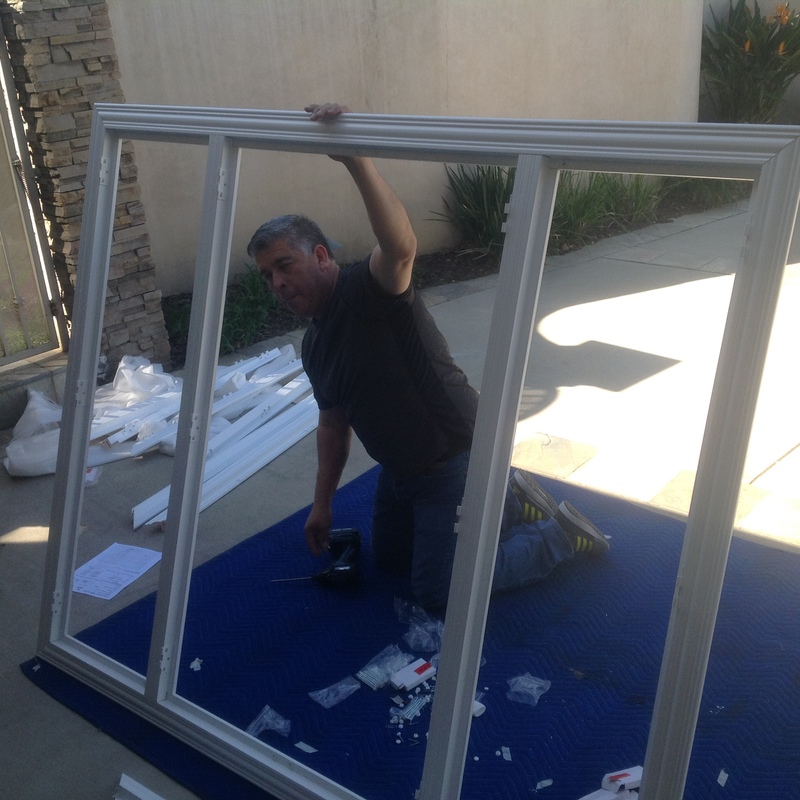 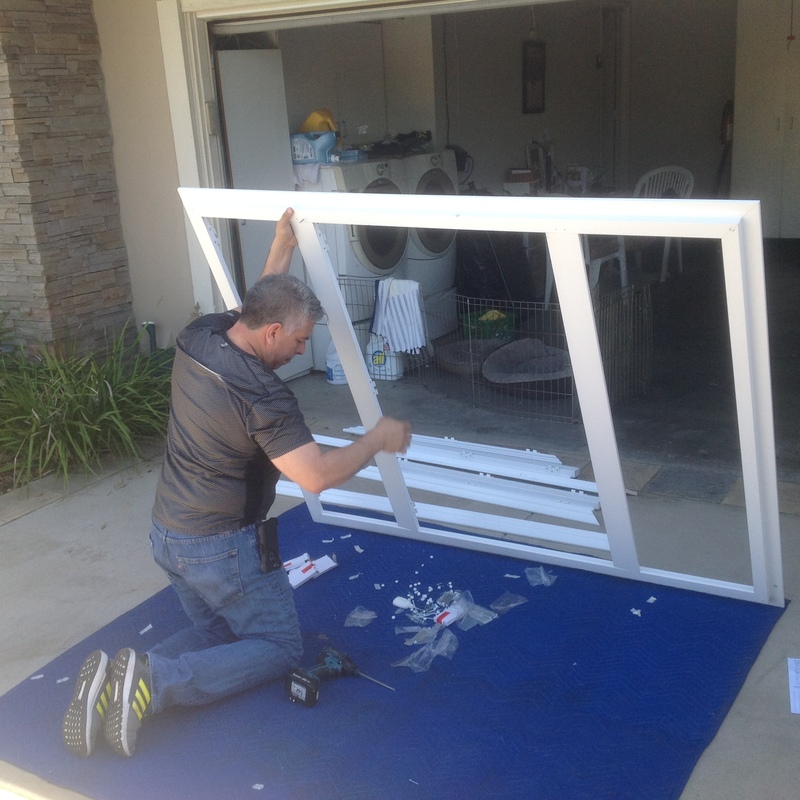 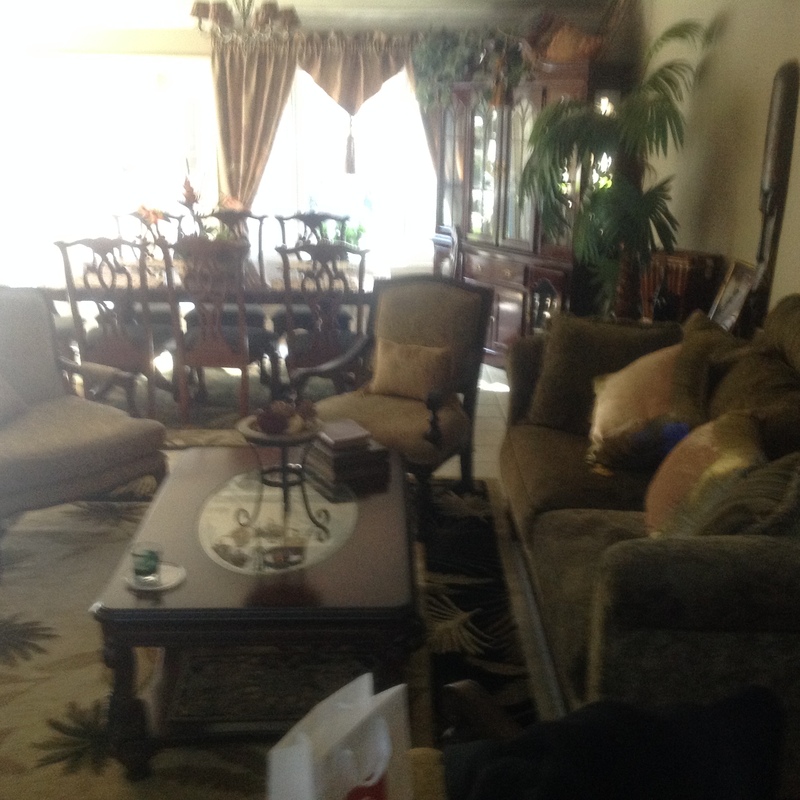 German is one of our Certified Installation people, he does a great job. 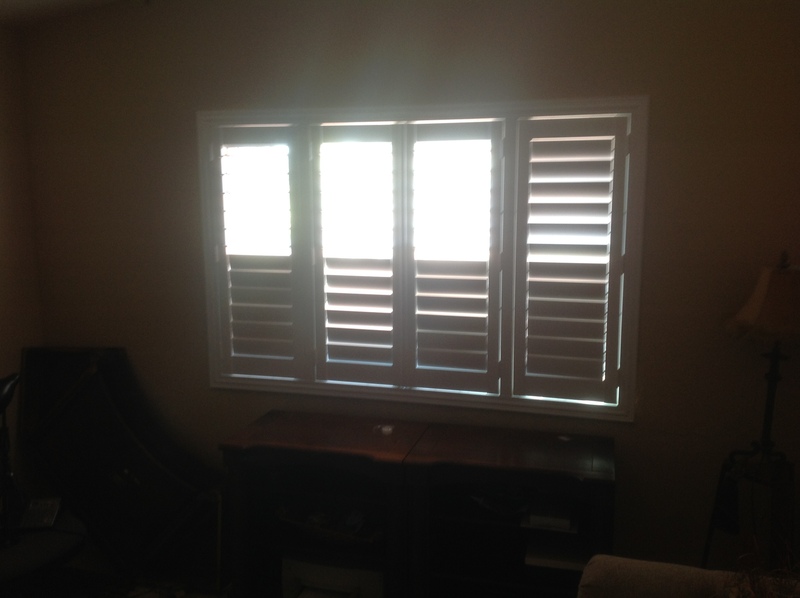 This week we want to educate you on panel configuration options. This house has many 6 Ft. wide windows, and the windows are referred to as XOX’s, meaning they are three lites, with the sliders on the outside. 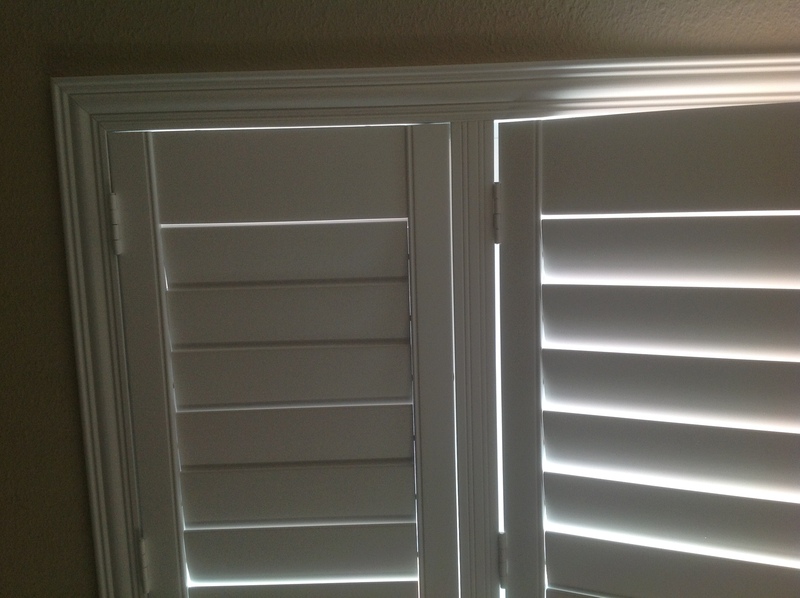 The best Shutter to match this window is a LTLRTR Panel configuration, where the T Post lines up with the Vertical line of the windows. 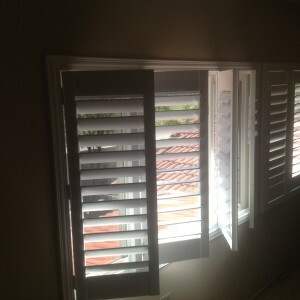 The advantage is all the shutter panels open and close seperately and are easy to operate this way. 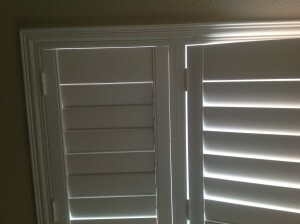 The other style would have a Bi-Fold, meaning two open together to the left. Take a look at the photos below to better understand the Panel Configuration know as a LTLRTR, and ask a Villa Designer to give you a Free In-Home Design consultation.